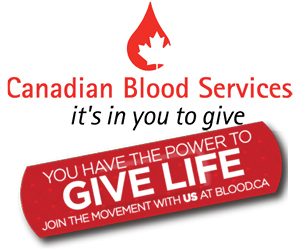 Members of the B&A staff are proud to be donating blood through the Canadian Blood Services on March 28, 2018! We have a team of 15 individuals who have stepped up to help donate to those in need. We encourage all eligible participants to get involved and donate, or if you’d like to coordinate a blood drive within your organization, please get in touch with Canadian Blood Services. The movement starts with you …. A blood donation can’t be replaced or manufactured; it is the foundation of life. Donating blood is a genuine act of altruism and is a selfless gift. Without blood donors, surgeries and treatment for diseases such as cancer would not be possible. Receiving a blood donation makes every major milestone in life happen. But it also makes even the simplest of moments possible like going for a walk in the park, sharing some popcorn with a friend at the movies, and attending your first day of school. Please sign-up today!